In December of 2018 Global News released an article stating that total national Canadian wealth hit $11.415 trillion in the third quarter, and at $8.752 trillion, real estate made up a 76-per-cent share of that figure. This staggering statistic made it clear to us that we need to have episodes that are focused on real estate, and being that we are a heavy industry show, we need to zero in on commercial real estate. Cory Wright, Founder and CEO of William Wright (a boutique style commercial real estate company) laid out in a clear way the reality of how commercial real estate works, the challenges, and the misconceptions people have. 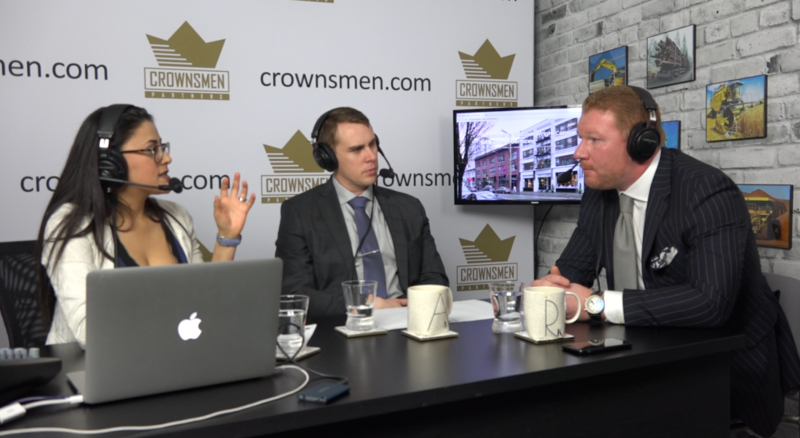 We opened the show discussing some major topics within buying, selling, and zoning for commercial property. As the large cities further densify, commercial properties such as equipment yards or small manufacturing businesses become attractive investments for developers to rezone and convert to residential properties. Cory explains that cities are also motivated to push for rezoning because of a continually increasing in population. A perfect example would be a large land area with only one small shop. A property like this within a city can house hundreds of people and if developers are willing to invest and municipalities are pushing through the permits the opportunity becomes reality. A major obstacle in property previously used for heavy industry are the environmental assessments. The first phase identifies potential or existing environmental contamination liabilities. A Phase I Environmental Site Assessment, commonly referred to as an ESA, or Phase I ESA, is completed to research the current and historical uses of a property as part of a commercial real estate transaction. Cory explains that often if there is anything negative within this first phase Tier 1 banks and developers often get skittish right away. If the project does go to Phase 2 of an ESA, which involves drilling for soil samples, there can be further environmental damage discovered that can be an even greater cost than initially estimated in Phase 1. Cory explains that it is not impossible to continue forward with the property acquisition and development, although often the cost can be so great that it makes the investment unattractive and developers may need to seek backing from lower tier lenders resulting in higher interest rates. He goes on to point out that what they do as real estate agents is try to provide as much education to either the buyer or the seller so they have a clear understanding of the ramifications behind rezoning or even buying and selling commercial property that was used for industrial purposes. Banks make no profit off of “old money” sitting with commercial real estate that is paid for and is now being leased out. Banks like BDC are motivated to get small businesses buying office and commercial space. Financing is based on a company’s cash flow and even what they are currently paying as a lease rate. Cory uses the example of a company paying $6,000/mo for a 2 office with a small commercial bay door in the back. If he is able to find a bank that will finance them to buy a space for $6500/mo, the bank now has a secured asset and in the future the company may borrow on that asset to further expand their business. Cory Founded Wiliam Wright almost 6 years ago and saw an opportunity to approach commercial real estate from a new angle. Rather than set up one main office and use a similar model to the large global agencies, Cory set up small offices that gave them hands on access to properties throughout the lower mainland. An example of where this gives them an advantage is if a potential buyer wants to view property out in Abbotsford and the call comes in at 3 p.m. An agent in Vancouver is not going to drive out for a 6 p.m. showing. Their model allows a wider reach and helps the customer feel like William Wright understands their property and area. In major cities like Vancouver real estate is a major topic. Rent is high and stock is low. Many people are asking what the solution is? Cory takes a clear position. By capping how much landlords can raise the rent to 2.5% annually and with costs rising and potential interest rates jumps, for property investors it dampens the enthusiasm to invest millions into an asset that can only grow by a couple percent annually. As a result developments slow and over time as people move and new people enter the city the rental market continues to spike. Whereas if there is inventory on the market landlords are more hesitant to raise rental rates because people will simply move. He points to Seattle recently having a drop in rental rates after the city removed the cap on landlords raising rents. Cory makes the argument that although it may help the renter today or for a couple years over time the practice of capping rental rates will further impact the tenants continue to push up the rates. It is after all a general rule that more competition drives down rates. Cory Wright has spent years in the real estate business, working for other firms and now for 6 years running his own. Like many experts he can unpackage complex issues and make them easy to understand and help us realize that what we thought were simple things can be complex and may have hidden downside. Perhaps at times real estate becomes such a normal part of our lives that we only rely on news headlines and quick google searches to inform us. But if you run a business, rent a home, or want to invest in property this episode will give you in depth information to help you take advantage of the opportunities and avoid the pitfalls.